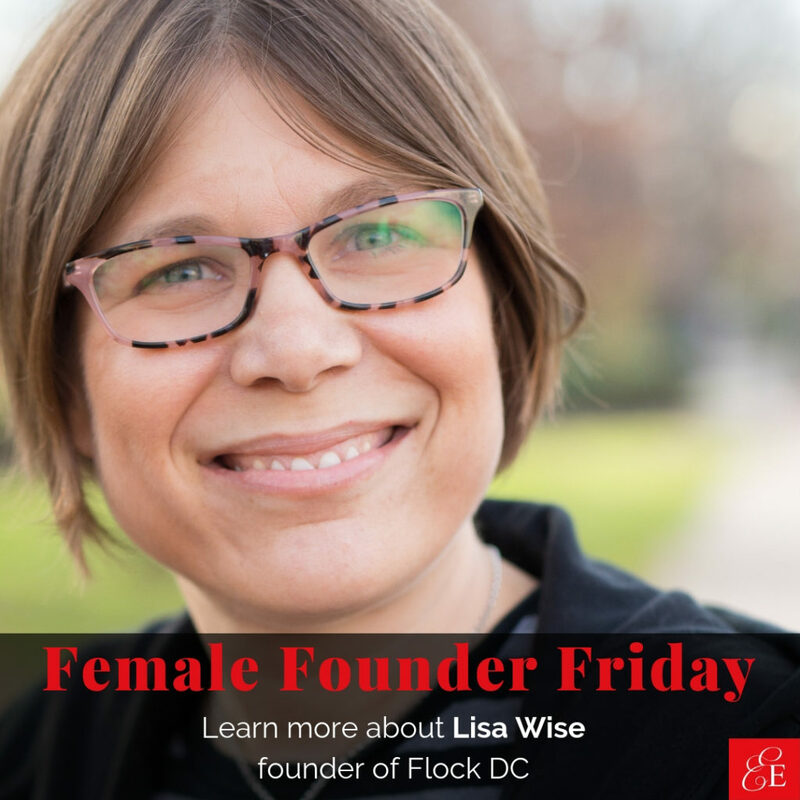 It’s Female Founder Friday and I can’t wait to share the startup story of Lisa Wise. Lisa left the world of non-profits to build companies focusing on empowering individuals as consumers, building stronger communities, and creating forward thinking businesses. She currently leads Flock DC, a family of service companies with an innovative approach to real estate management and preservation. This amazing woman entrepreneur used her passion for activism, heart for humans, and business acumen to completely disrupted the real estate industry in the best ways imaginable! Flock redefines an industry with vertically integrated brands delivering an exceptional customer and community forward experience. The story began at the start of the great recession with the launch of Nest DC, a boutique property management company focused on high quality urban spaces. Six years later, a new chapter started with the launch of Roost DC; providing management to associations, cooperatives and small scale commercial spaces. Roost is an employee owned company. The only one of its kind in the nation. The Flock journey continues with the most recent launch of Starling DC. A company focused on creating resident ready spaces with a team of talented carpenters, painters plumbers and project managers. The entire Flock family is a socially responsible and deeply rooted in the city’s Wards. From fundraising to food delivery, Flock partners with essential city non-profits throughout the year. In 2018, BirdSEED was launched, a micro grant program for makers, doers and disrupters serving the city that funds local projects or programs quarterly. So… if you’re currently in the non-profit world and considering a leap into entrepreneurship, or are a professional who’s ready to just have some fun with your career, don’t miss Lisa’s business beginnings, legal woes, and her fantastic advice for fellow female founders! I have a background in the non-profit (change the world) kind of work environment. I loved that origin story but at some point, I kind of wanted to just do a thing and get paid for it. Changing the world seemed like a tall order, and it was even more onerous to justify your value in the NGO space. Simple as it may seem, I was excited about getting a space painted, a toilet changed, a lease signed and a tenant situated. It was truly transactional but still made a difference. And I loved working with my hands. Seeing the fruits of my labor. I had no idea if my transactional aspirations and interest in a service-based environment would lead to any great change for my own life or the world, but as it turned out, I was certainly on to something and I was ready to do something that seemed truly intuitive and fun. That transition was fairly elegant. In part because I really had no idea what I was doing. Ignorance in business at certain stages is truly bliss. From regulatory, legal, and technical skills needed to do the job well, I chose to roll the dice, learn as I went and hope that good intention, integrity and perseverance would get me up and over the mountains. The strategy worked… you know… until it didn’t. We certainly hit roadblocks along the way by not following industry specific standards and tending to some legal and regulatory infrastructure. It hurt when it hit us, but had I known how hard those parts would have been, it may have kept me from starting the company in the first place. I continue to jump in even when I’m not sure what I’m doing. I just learned to surround myself with people that keep us legit! (read: buttoned up, operationally tight and in harmony with regulation and more). My reputation and that of the business suffering because the work is so undervalued. And it’s incredibly complicated. Being in a people-based business (providing service to people by people) means we’re managing personalities and there is a certain degree of unpredictability and, honestly, volatility as we deliver our services. For the most part, we can solve any problem and weather every storm. Can we meet every expectation? We cannot. Particularly when they are unrealistic. And it’s that crevasse that our good reputation can slide down quickly. This is particularly sensitive when I’ve built a team that truly cares about our clients, tenants, quality of our work, the experience we deliver and the community we work in. We live the outcome. We’re just not always in control of it (think power outages and floods and fires and all manner of drama that we navigate throughout a given day.) Morale and maintaining reputation continue to be a constant point of focus and I will not lie, source of anxiety. We’re really invested in growth but with an eye toward enhancing the value of our client experience. We’re also building complimentary business units that add value, the thrill of growth, and make our services more convenient for our client base. More than anything, we want to continue to create jobs (a significant measure of our success) and we want those jobs to be one-of-a-kind and life changing. Pair that with our investment in making real change in our community and I think we have a ton to look forward to and a big footprint to work on. Carve out some time that is non-negotiable for something that’s important (family time/exercise/hiking/trip/reading.) It’s good modeling for your team and it’s good to honor something that isn’t just about work. Your team will appreciate how you model balance. “Hearts and Bones,” by Paul Simon. It reminds me that we have to follow our own love story (and can be metaphor for work) and there are ups and downs but the overall tone is rich and embracing. Be empathic but also be firm and fair. Be a good listener and care about the answers. Surround yourself with people that are better, smarter faster. Don’t rely on yourself to know everything or be good at everything. 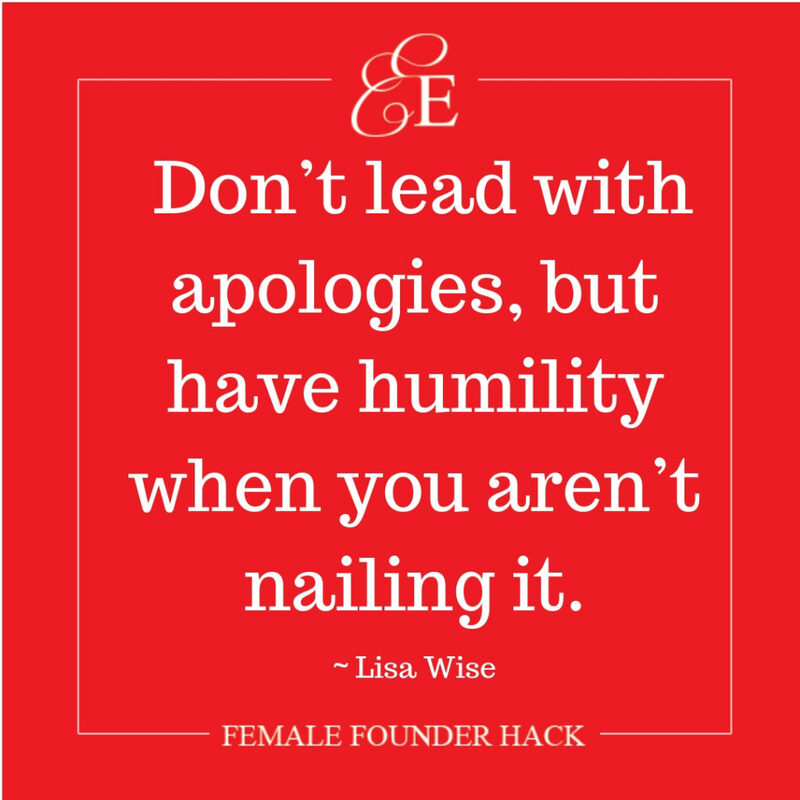 Don’t lead with apologies but have humility when you aren’t nailing it.